The National Executive Committee (NEC) of CAN, during its meeting in Abuja on Tuesday 28th February, 2017, passed a resolution that the National day of Christian Protest and Mourning which earlier took place on 8th January, 2017, should be repeated on Sunday 19th March, 2017. To enable it fulfill its multifaceted roles, it has been realized that the Association of Christians should be sufficiently funded. The various challenges confronting Christianity and individual Christians in Nigeria make it imperative that CAN has to be financially independent. In realization of this need, the National Executive Committee (NEC) of CAN, the highest decision making organ in the Association, approved the establishment of the CAN TRUST FUND. Non-Governmental organisation, Human Writers Association of Nigeria (HURIWA) has asked the Department of State Services under the leadership of Alhaji Lawal Musa Daura to halt the harassment of Christian leaders by its operatives. 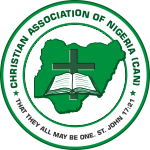 In a statement, the National Coordinator, Comrade Emmanuel Onwubiko and the National Media Affairs Director Miss Zainab Yusuf condemned as “selective persecution and harassment”, the recent interrogation of National leadership of Christian Association of Nigeria over a global campaigns to attract funds to rebuild churches destroyed by Boko haram terrorists in North East. Four key members of the organisation’s BoT, who are also leaders of National Christian Elders Forum, were quizzed for four hours on Tuesday evening at the DSS headquarters in Abuja, following a video by CAN Trust Fund soliciting funds for CAN to rebuild churches destroyed by Boko Haram insurgents in the North-East. Among those that were interrogated by the DSS were a former Chief of General Staff, Lt. Gen. Joshua Dogonyaro (retd. ), representing TEKAN/ECWA bloc of CAN; a retired High Court Judge, Justice Kalajine Anigbogu, representing the Christian Council of Nigeria bloc; Mrs. Osaretin Demuren, representing the Organisation of African Instituted Churches and a former Deputy Governor of the Central Bank of Nigeria, Mr. Tunde Lemo, representing the Christian Pentecostal Fellowship of Nigeria and Pentecostal Fellowship of Nigeria. Nothing sums up the dangerous way in which the DSS is handling the Apostle Johnson Suleman affair better than the words of the Southern Kaduna-based Pastor Owojaye Matthew. He said, "you want to arrest Christian clergymen who asked Christians to defend themselves against killer FULANI Herdsmen while you allow hundreds of foreign FULANI herdsmen invading Nigeria to kill and maim CHRISTIANS and take over their lands! DSS, tread softly! Do not play into the hands of chaos! 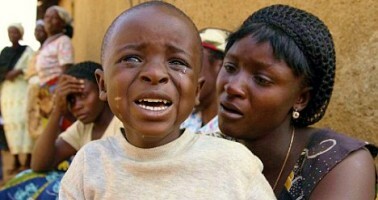 We are waiting for DSS to arrest the kill and go FULANI herdsmen!" While threatening to resist any attempt to turn Nigeria to a refugee camp for Christians, the organisation condemned the harassment of the fiery pastor and General Overseer of Omega Fire Ministries Worldwide, Apostle Johnson Suleiman, by the Department of State Services in Ekiti State. It is necessary for a better understanding of the subject to state briefly the constitutional history of Nigeria. Prof Ben Nwabueze has suggested that Nigeria was not a state until amalgamation in 1914. He contends that “the central legacy bequeathed to Africa by colonialism is the organism known as a state in its strict signification.” The state of development of Southern Nigeria and Northern Nigeria, prior to amalgamation is clearly stated in Lugard’s Documentary Record compiled by Kirk-Greene. With respect to the South, Lugard wrote: “the South was, for the most part, held in thrall by fetish worship and the hideous ordeals of witchcraft, human sacrifice and twin murder.